SUNNYVALE, Calif., April 10, 2019 /PRNewswire/ -- The Myers-Briggs Company Innovation Labs and Cajon Valley USD, members of the World of Work Network (WoW)--a partnership designed to inspire the future workforce--are launching a joint product development initiative focused on supporting exploratory conversations between parents and their children about the 21st Century World of Work. Ed Hidalgo, Chief Innovation and Engagement Officer, Cajon Valley Union School District (left) and Chris Mackey, Senior VP and GM of Innovation Labs, The Myers-Briggs Company (second from left) on the speaker panel Preparing Students for the Current and Future World of Work: A Comprehensive K12 Solution during the ASU GSV Conference in San Diego, CA. Through this new initiative, the Innovation Labs' VitaNavis® analytics and learning platform (get.vitanavis.com) enables more students than ever to find potential education and career pathways, starting by providing them with a lifelong framework for understanding how their interests align with future occupations and opportunities. Generally, most students are exposed to a very limited view of the world's possibilities, a circumstance which the World of Work Network intends to change. Through the VitaNavis platform, students realize their own path in the world, allowing them to begin building future-ready skills and competencies from an early age. The student and parent experience on VitaNavis begins with the SuperStrong® assessment, the latest, rapid and mobile version of the Strong Interest Inventory® assessment. Data derived from the SuperStrong assessment is scientifically validated and reliable, allowing students to confidently explore careers, salaries, job outlooks, skills, and education requirements. Educators can also use classroom-level data to take the first step in differentiated learning or use district-level data to make strategic decisions around most effectively spending limited student support resources. In Cajon Valley USD schools, where the K12 World of Work launched, students begin in kindergarten to explore different interests and apply them in "real world" scenarios, showing how their interests relate to their "future possible selves." By envisioning themselves in the future world of work, students engage with today's work in the classroom and orient themselves towards a future they believe they can achieve. In a recent classroom setting with first-grade students, groups explored the different Holland RIASEC theme codes by taking on various roles in a flower shop simulation during which students learn about the Enterprising theme code and its relationship to Entrepreneurship. They also learned about other interest theme codes by building robots, designing websites and collaborating with other students on a variety of creative projects. What does every parent want? Happy kids, with healthy relationships, on a path to gainful employment. A parent's active involvement in their child's education and career planning often makes the difference in that child's long term success. Providing parents and students a platform where they can gain insights into these aspects of themselves clears the way for informed decision making. "Happy Kids, Living in Healthy Relationships, on a Path to Gainful Employment" is Cajon Valley USD's mission, achieved by providing opportunities for schools and families to build meaningful and productive partnerships committed to student learning. "Parents are critical to students achieving their aspirations. Sometimes a parent's best intentions or unconscious preconceived notions can cause their children to foreclose early on opportunities that might be right for their kids. If parents and their children know one another's strengths and interests, they can support each other in discovering careers that allow them to become the best version of themselves," explains Mike Serban, Director of Family and Community Engagement at Cajon Valley USD. The Myers-Briggs Company and Cajon Valley USD are developing a Career Development Playbook and accompanying online interactive experience on the VitaNavis platform to allow parents and students to gain a deeper understanding of themselves, each other, and their vocational interests with the goal of charting a course for lifelong development. These new tools will build upon psychometrically valid data and insights from The Myers-Briggs Company and will help facilitate more insightful conversations and mutual understanding between parents and their children, the students that will become the workforce of tomorrow. The goal is to provide students and parents tools to facilitate an open, productive, and relationship-building conversation that increases self-awareness for both parent and child, reducing the instances of children pushed into future careers that don't align with their interests. 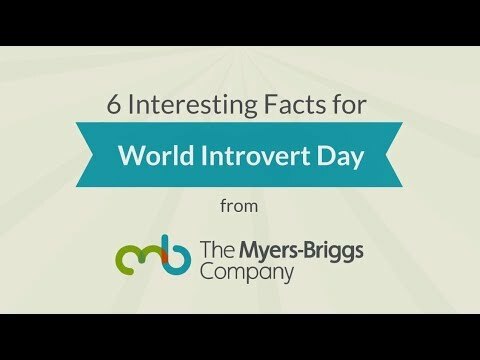 "From first concept, the VitaNavis system was built to support this very need," says Darrell Mockus, CTO of The Myers-Briggs Company Innovation Labs. "By enabling parents to share and compare their own interests and personality to their children in the career context, it opens up conversations that are critical to a child's development." The Myers-Briggs Company, Innovation Labs provides personal and organizational improvement solutions through the integration of rigorous data analytics with research-tested personality measures. As a division of The Myers-Briggs Company (themyersbriggs.com), Innovation Labs combines expertise in data science and cutting-edge technologies with decades worth of peer-reviewed and scientifically validated assessment data to conduct personality and behavioral research in the areas of education and people analytics. Continuing The Myers-Briggs Company's 60-year commitment to improving people's lives through a better understanding of themselves and others, Innovation Labs is dedicated to making our proven insights accessible to all people as they make decisions at critical points in their lives. With roots dating back to 1870, Cajon Valley Union School District (www.cajonvalley.net) focuses on the positivity of each student's unique strengths, interests, and values. Serving over 60 square miles of San Diego's East County, Cajon Valley Union School District offers personalized education with programs that develop students' interests into goals for a career-minded approach. Cajon Valley Union School District has been partnering with the World of Work initiative for the past three school years, giving CVUSD students purpose in their everyday classroom instruction, connecting what they are learning to their futures. Together, World of Work and CVUSD want each student to understand that their unique strengths, interests, and values are needed in the world of work, fulfilling CVUSD's vision of happy kids, in healthy relationships, on a path to gainful employment.